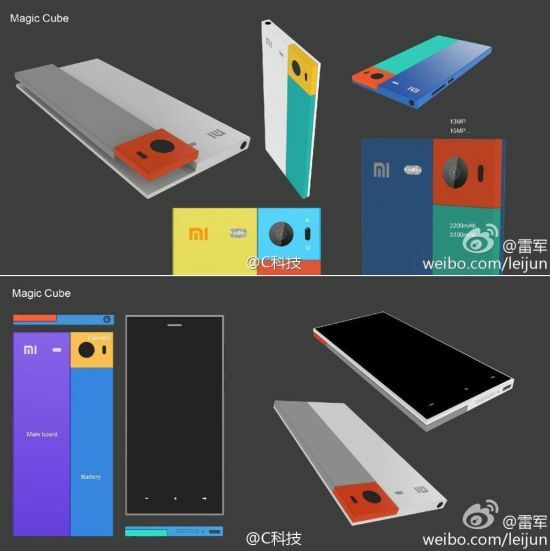 Xiaomi Preparing Own Modular Phone, the Magic Cube; Here’s a Render! It appears that the Motorola Ara and Phoneblocks are in good company, now that Xiaomi is preparing its own modular phone. We’ve got a render to go with that information and it’s shown below. You know the basics here: you have a core device and you add pieces of technology to it, like extra RAM, extra storage and all sorts of camera modules and connectivity modules. Xiaomi has something called the Magic Cube planned and seeing how they have one of Google’s men on the team, Hugo Barra, I expect great things from them. The Xiaomi modular phone‘s render was shown on the company CEO’s Weibo profile page, but it has been removed since. The device looks a bit like the Project Ara from Moto, only it has less switchable parts, something 3 or 4 of them. The other modular handsets we’ve seen till now even had 8 to 10 pieces to swap out. Will this trend die or is it here to stay?